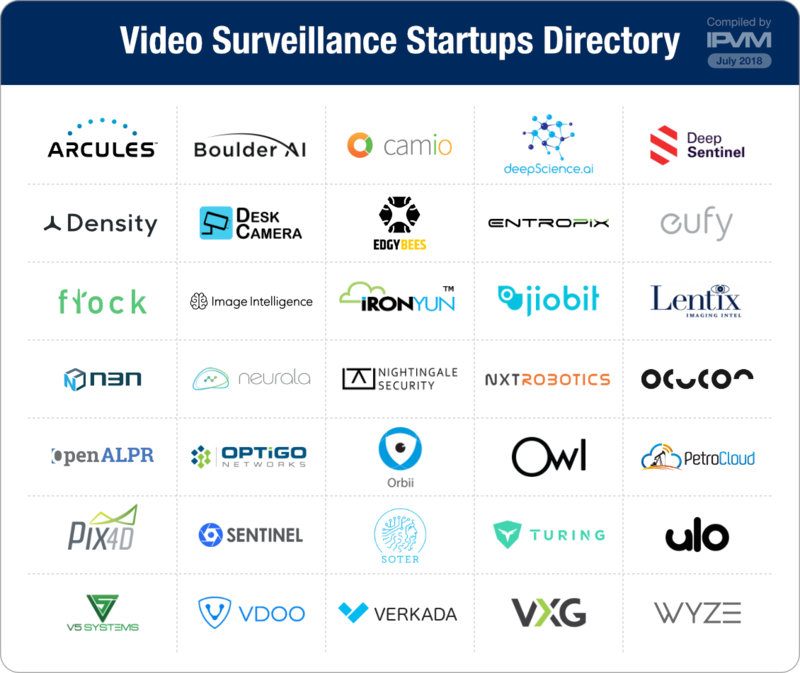 This directory provides a list of video surveillance startups to help you see and research what companies are new or not yet broadly known entity in the market. Today, most of the major companies in the industry started between 1995 and 2005. However, new companies are seeing opportunities, and new funding available. **** ********* ******** * list ** ***** ************ startups ** **** *** see *** ******** **** companies *** *** ** not *** ******* ***** entity ** *** ******. *****, **** ** *** major ********* ** *** industry ******* ******* **** and ****. *******, *** companies *** ****** *************, and *** ******* *********. ***- **** *********-**-*-******* ******* from ******* ****** ** SDK ******** *** ************* looking ** ***** ** Amazon *** ******** ***** video ********* *** *** their *******. **** **** offer **-**** ********* ****** solutions *** ******* ******* or ****** ****** *********. The**-*******'********* ***** * **.*. in *********** *** ************ Physics, *** * ****** of ******** ** ******* for ***** ********* *** video ******** *********. *********- ******* ** ****, they ***** ** ***** Analytics **** * ***** on********-***** ******** *********** ***** ********** ** Public ****** ***********. ******** *** *****-******* * ***-**** ****-**** analytics ******* (***** ******* ** ****) ****** ******** ********* together, *** **** ** prior ******** ******** **********. They *** ********** ** grow ***** ******* ******* network ** ****, ********* with ***** *********** *****. ** ******* *** **********-********* effects ** ******* **** and ****** ******** ** order ** *********** *** original ***** ****** ** nine ***** *** ******** pixel *******. ********- ******* ** ****, they ***** ****** ** on-premise **** ******** ***** analytics, *** * ********* mobile ********** ***. **** are ********* ************ ***** facial ********* *** ****** control, *** ******. *** management ***** ******** ** Silicon ****** ************* *** platform *********** *********. **** are ****** ******* ********. ***** ************- ******* ** ****, they ***** * ****** that ** ****** ** a ****** ******** ** detect *** *** ** vaping ******* *** ********. They **** ** ************** ***** ****, *** ** ********* detection, ** * ****** installed ** * **** school ********. **** **** recently ******** ****** ******* ***************** ***** **** ** use ********** ** ******** bullying ** *******. ******- **** **-***** ******* was ******* ** **** and **** ***** *****-***** AI ********* *** ****** safety *** ********** ******** users. *** ********* ***** facial **************, ******** ***** and **** ***********, *** they **** ************ **** Milestone, *******, *** ******. Their******** ******** ************ ******** ********* **** machine ******** *********** **********. **********- ***** ** *****, they ***** * **** developed ************ *** ******** sites, *** ************/*********** ********. They ***** *****-***** ****** management ********-**-*-*******. **********'*********** ******* ** *********** *********** of *** *** *** industry ********** **** **** tech ********** **** *** Micro, *** *** ******. *** *** ***- ******* ** **** in **** ****, **, they ***** * ****-******* vehicle ******** ****** **** front *** **** ****** cameras, *** ************, **********, and ********. **** **** received $** ******* ** VC *******, *** *** led ** *** ****** product **** *** *** iPod/iPhone *** *** ** of *********** ** *******,****** *****. **** ******- ******* ** **** by *********** ** *** ******** UAV ***** *** *** Israeli *** *****, **** ***** * "drone-as-a-service" *****. **** ********* autonomous ****** ***** **** and **** ********** ************. *****- ******* ** ****, they ***** * ******** platform **** ***** ***** aerial ******* *** ******** that **** ** ** Mapping ********. *** *** marketing ** ************, ******** Response, *** **** ********* companies. ******** ********* ********** * **.*. ******** Vision *** **************. *****'* ******** ** ****** recognition **********- ***** *** ******* in **** *** *** between ** *** *** employees,********* ** **********. *** **** ******** AI *** *** ******** (***** ******* **, 2019) *********** ************ ** ** *** addition ** **** **** the ********* *** **** than ********** *** ******* goal. *** ****** ********** the ***** ** ****** in ***** ** *** and ***** * **** alert ** * ********* phone ** **********, ***** with ***** ********** **** like **** *** *** the ******, ***** *** spent **** **** **** last, ***. '*******' ** ** ********** subjective ****. *** ******** we ********* ******* *** that *** ******* *** still ***** (***** *** people), ******* ******* (million) *** ******* ****** presence (*. *., *** *** have *** ****** ** trade *****). **** **, for *******, *** ***** Eye *** *********** **** did *** **** *** list. **** *** ********* newer ********* *** ******* fairly ********* ****** *** industry. ** **** ** *** and ****** ********* **** time. * **** ** ******* *** *********** **** *********, ** **** free ** ***** *** ** ** ** ****@****. ***, ** ******* here **** *** *********, *****, ** **************. **** ********* ** **** *** ***** ************ ********, ** **** have **** ******* *********** ********* ** *** **** ****** *****. **** *** **** **** ** ** ******** **** *** ******** that **** ****** ** **** ************ *******, **** ***** ***** no ******* *******? *************** **** ** ** *** ****? ***, **** ******, * **** ** ****** **** ***** *****. We’re ***** ***** ** ** * **** ** **** *** we *** ******* *** **** ******** **** **** ****. ******* ******* ** *** ******. **** **** **** ***** *******, *** **** * ******** ********* look. * ** ********** ** ****** **** *** **** **** about ****. **** **** ***** ** ******* ** ******* *** *** ****** by ***** ** ************ ********/******* (***: ******, ******, ***, *** early **** *******). ** ****** ** **** ** **** *** proper ******* ***/** *********** *** ** **** **** ***** *** massive ******* ********* *** ***** *** *** ********* ******. * will **** ** ** "**** *****" *** ***.